Recently I posted an article answering a few reader questions about Universal Orlando. In that article, I decided to test the waters to see what Theme Park University readers thought might appear in the Universal’s new park opening in Orlando. Make no mistake about it, even though Universal has been extremely tight-lipped about it, the park has been quietly designing the entire property from master-planning down to attractions for well over a year now. By no means are plans for this new park final. As we have discussed before, we are quite a ways off from Universal even acknowledging that a new park is in development. However, we can tell via public record that quite a bit of land has been snapped up over the last few years which leads to a huge piece of expansion for Universal Orlando. Big enough for a theme park and then some. Anyway, back to the original question I posed in an earlier article: What brands/Intellectual Properties do you expect to see represented in the four lands when the announcement is finally made? I got many answers across our social media and via private messages and while many were interesting, there were some commonalities. There are a lot of misconceptions about what Universal Orlando has the rights to use in their parks either now or in the future. So today we are going to discuss what lands you will NOT be seeing inside Universal Orlando’s new theme park. Disclaimer: As always, before we start, we must acknowledge that the information contained within this article is not official. Nothing is official until Universal says it is. Everything within this article has to be taken as speculation until the folks at Universal Orlando make anything official (which won’t be for quite some time). The information contained within today’s article comes from information gathered throughout the themed entertainment industry (in addition to common sense) and is as accurate as of the writing of this article. Let’s dig in! This is going to be heartbreaking for many people, but I’m sorry to say that Lord of the Rings won’t be coming to Universal Orlando’s newest park. Or any other park for that matter. After doing some digging, we noticed there were several theme park websites saying that Lord of the Rings was going to be recreated in theme park form. Unfortunately, that is not the case. Sure, they could. But they didn’t. Just like with Harry Potter, it is widely known that J.K. Rowling had to personally approve not only the rights to use the boy wizard in Universal Parks but also was fairly involved in the details of how those lands were built along with Warner Brothers. Indeed, he was talking about Disney in this case, but considering Tolkien died in 1973, he wasn’t able to see modern day Universal parks either. 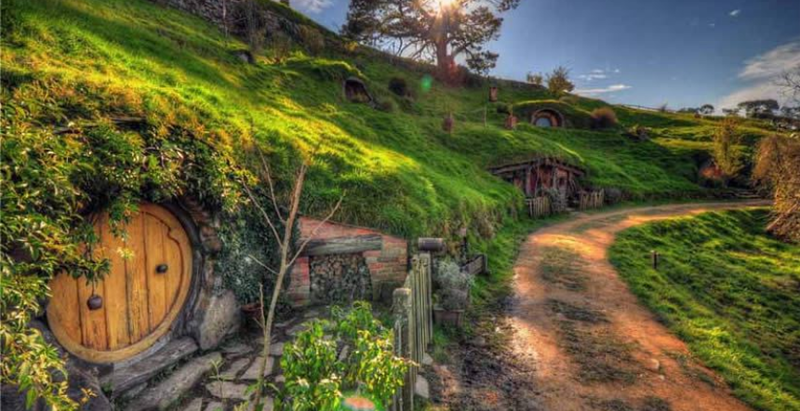 And considering the rights to The Lord of the Rings are partially owned by his estate, the odds of them granting theme park rights are extremely slim. And according to literally every source I’ve ever talked to, while conversations were definitely had by both Universal and Disney with Warner Brothers and Tolkien’s estate, none came to a deal. Even Peter Jackson has been quoted as saying that the franchise will most likely never end up in a theme park. And yes, he’s worked with Universal on the new Kong attractions on both coasts. Thus, Lord of the Rings seems to be off the table for the new Universal Park or any theme park for that matter. This one has also been tossed around the internet for the last several months, with literally no substance behind it. Before we dig into this, yes, Universal Studios did have a Star Trek presence in the park starting in 1991. For those unfamiliar, both Universal Studios Hollywood and Florida had a Star Trek Experience attraction in their parks. The one in Universal Studios Florida closed in 1996 and was located where the lockers currently reside for Revenge of the Mummy. Calling it an “attraction” was a bit of a stretch. In short, guests were put in front of a green screen and told to act out certain scenes from Star Trek via an attendant. After their acting debut, guests could purchase a VHS copy of their performance to take home with them as a souvenir. This attraction was in conjunction with Paramount Studios, who owns the rights to Star Trek. Which leads me to, this is yet another property that Universal Studios does not own. And while they did have the rights for Star Trek, those rights were not in perpetuity or else we’d have seen at least some sort of attraction, characters or even merchandise within Universal Studios since 1996 and there’s been barely a blip. This answer was quite interesting. Yes, there is a fairly large Hello Kitty store located in some prime real estate just inside Universal Studios Florida beyond the main entrance. If you’ve ever walked in that store, you’ll see just how popular it is (it’s usually dead). More importantly, Universal Studios Japan has an actual attraction dedicated to the mouthless white kitty. However, it’s fair to say that she is far more popular in Japan than she is in the United States. That one attraction is essentially a teacup ride and a gift shop taking up very little real estate. 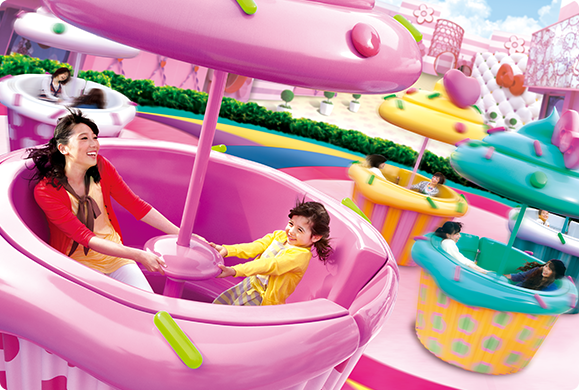 My point is, if Universal Studios Japan can’t make a go of a bigger scale Hello Kitty land, it’s highly unlikely a Universal Park in the United States could make it a big enough draw for an entire land in a brand new theme park. 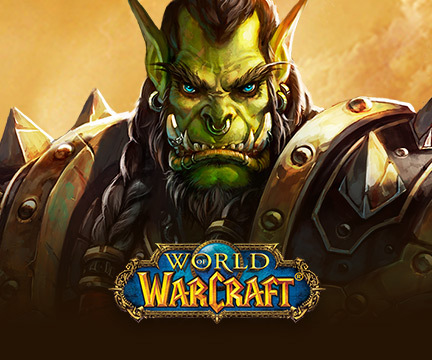 While video gaming is undoubtedly huge and World of Warcraft is immensely popular, this won’t happen. Keep in mind, Nintendo will be a major presence in this new park. Meaning, to have two competing video game based lands and attractions doesn’t make a lot of sense. Gone are the days where Disney or Universal can use a generic land, no matter how unique or story-driven to bring guests through the turnstiles. While you may miss the days when major theme parks could come up with unique stories that can live only within those gates, Disney and Universal are too competitive to do that anymore. Every major land, attraction, restaurant and gift shop needs to have some sort of tie-in to an intellectual property. Like it or not, they drive business through the gates and per caps are far higher. So what brands and Intellectual Properties are going into the Universal’s fourth park? We are going to get there, I promise. However, today I wanted to cover a lot of misconceptions about what isn’t going into Universal’s fourth gate. Your thoughts? This entry was posted in Universal and tagged Hello Kitty, Lord of the Rings, Star Trek, Universal Fourth Park. Bookmark the permalink. Trackbacks are closed, but you can post a comment.